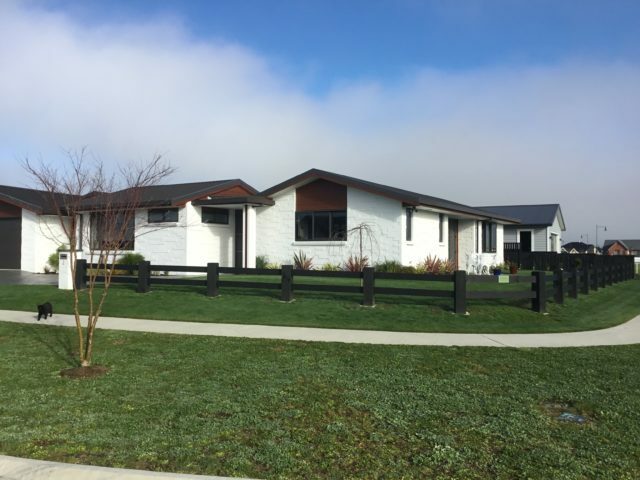 The BTD INTERLOCK® 2 rail 'mortised post and rail' fence is a popular choice for residential settings with clean cut, modern lines. It's also used widely in rural settings where clients have a view that they don't want compromised. It's stock safe for miniature breeds and sheep but we would recommend using hot wires for additional containment. 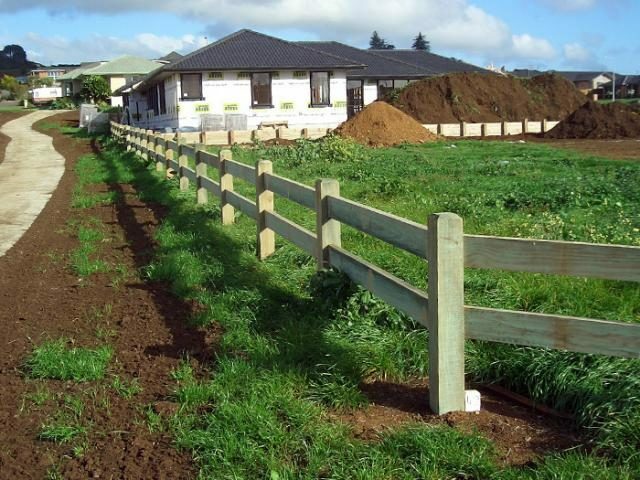 The two rail fence finishes 0.900m above ground/0.600m below ground, with matching gates available. Please see Gateways. Our standard post size is 125mm sq but you can choose posts of 150mmsq, 200mmsq, 250mm sq, & 300mm sq. The rails simply slot into the precisely machined posts and attention to details, such as the beveled post tops, marks this as a premium fencing option. All our high grade posts are H4 treated, cut to exact length, have a bevel to post tops & are routed to house the rails. All rails are 150mm x 50mm H3.2 treated, docked to exact length, precisely machined to give a tidy and snug fit into the rebated post slots and are of a higher grade not normally seen in the fencing industry. With our bigger posts (200mm +) you also have the option of ordering a 200mm x 50mm rail - please ask us for this size. Please note: Treating is done after all processing to completely enclose the post/rail in the treatment envelope. 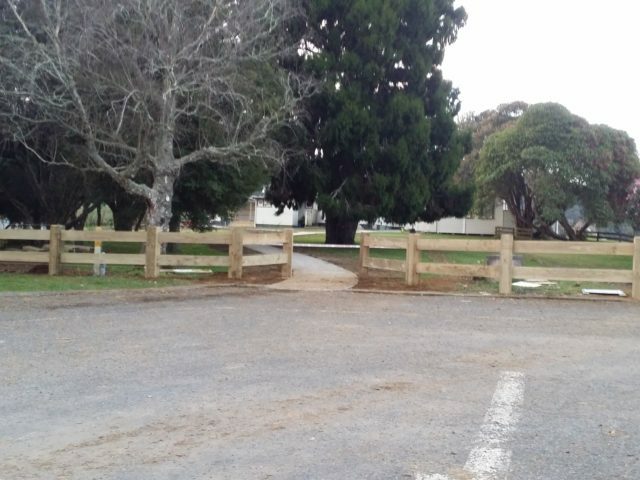 The options for use are endless and our photo gallery provides ideas using larger posts for ends and corners and junctions to mark the start, finish and change of direction - this results in a very smart looking post & Rail fence. 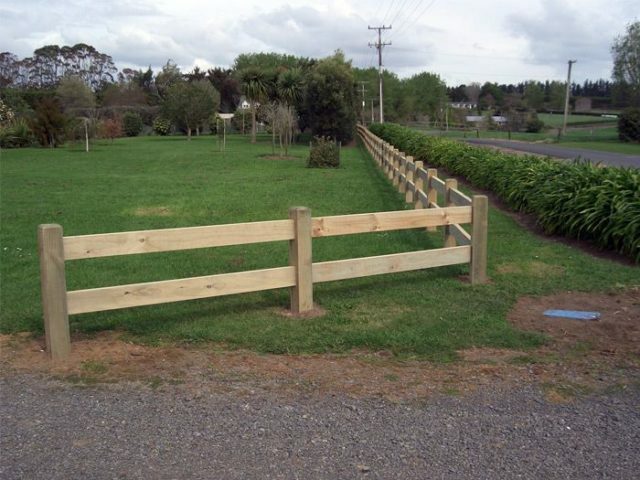 As with all our BTD INTERLOCK® post & rail fences, the quality of both the timber and processing is unsurpassed in the fencing industry. We purchase superior grade saw logs to mill and care, attention and proper handling of the timber through processing results in a very stable, high quality fence that will continue to look great for years. The BTD INTERLOCK® post & 2 rail kitset wooden fence is easy to install, comes cut to length and with the rails housed within the post, will give you a fence you will be proud to own. 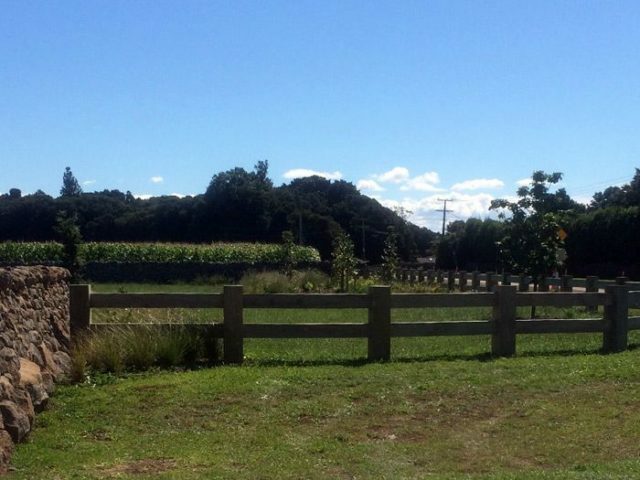 All of our fences can be customized to your needs.